This post is my entry for the April WEP Challenge: Road Less Traveled. Please give a full review - pull apart sentences if necessary. Also, I realized I may not have quite lived up to the challenge because I never mentioned "road" or "traveling." So, again, full review, please. Samantha had spent the last week in suspension, waiting for doctors and nurses to give her some kind of real information instead of vague hints and reassurances. Her laptop, journal, and book had gone untouched in her bag. She had eaten hospital oatmeal in the cafeteria with little sugar, and had . . . enjoyed it? She really couldn’t remember the taste, but the warmth had been soothing. The cup of tomato basil soup she had eaten with oyster crackers had been slightly more memorable with a strong taste of basil, and the crackers becoming mushy lumps at the bottom of the bowl before she had finished it. Across from her at that meal, her father had poked at his salad with rheumatoid fingers crooked around his fork, and his mouth making a moue of distaste at the ranch dressing. He had assumed it was a Caesar dressing. She remembered those things, and the feel of the smooth table under her fingers, along with the way she had set their table with precision, napkins and utensils to the sides, and cups arranged at easy hand-reach level for sipping their tea. She had made sure the table was clean, but still spread a napkin under their dishes. When she thought of that, she realized it was something she hadn’t done since she was a teenager, since before Joey, who ate with speed and efficiency, consuming just enough calories and no more and doing so quickly that he often ate before she finished her “fussy” pre-meal rituals. She liked her rituals. They brought comfort. So, as she sat in one more waiting room chair, this time in the law office, she carefully placed her purse to her right, leaned against her leg, with her hands resting across the top of it. She crossed her legs properly at the ankles, and tried to make something out of the geometric patterns on the rug. They were too tangled to be pathways, except where they were cut short against the window wall. Samantha felt drawn to the blue sky beyond the glimmering cityscape. But she could not think of that now, in this solemn moment. She studied the carpet again until her lawyer’s secretary said her name. In the board room, she had to face Joey. “I thought we were getting an amicable divorce, Sam,” Joey said. Samantha gave him her best level stare. The proceedings continued, and she studied the smoothness of the heavy, legal papers under her hands as she signed them, and made sure they were carefully tucked to satisfying neatness when she was finished. Joey said a few more things, but she paid less attention to the sound of his voice than the buzzing of a trapped fly on the window sill. She shook her head and left the office. She could see Joey holding the door to the elevator for her. She shook her head and opened the door to the stairwell. The carpet ended abruptly for blue-gray concrete, and the stairs were painted in a garish emergency yellow. She took off her heels and let her feet soak in the coolness from the concrete. She climbed steadily with her shoes and purse pinned to her by her right hand. At the top of the stairs, just four flights up, she opened the door to the roof. The blue sky horizon above the skyline beckoned her. Samantha thought of her father’s favorite saying. “It’s always a good day to fly.” She imagined him in his plane, soaring over the fields of their small town. She held out her arms and then took off her suit jacket so she could feel the cool prickle of the breeze on her arms. She breathed in deep, breathed out slowly, then put her hands on the ledge. Below her, people bustled like ants in a packed maze of streets. She didn’t want to rejoin them. She wanted to fly. The urge was so strong, she almost pulled herself up onto the ledge, but she stopped herself, keeping her bare feet planted on the building’s roof. She didn’t need to jump to fly. The tiny air field in her old home town had a private pilot school. She had enough saved for that. Her dad had offered to have her stay with him. A year ago, she would have scoffed at any middle-aged woman moving back in with her father, but now? She knew it was the right choice at this moment. 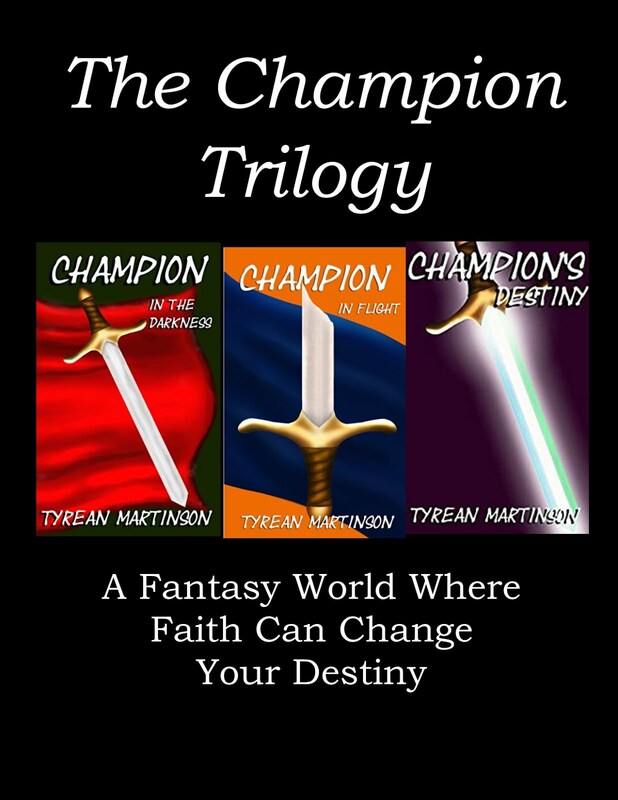 She could go home, learn how to fly, and live her remaining life with joy and peace. 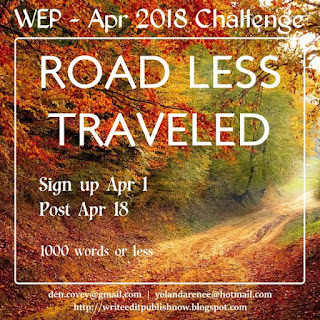 Writing has been a bit hard to do these days, with grad school, work, and life going on full throttle, with a few unexpected headaches and obstacles thrown down for extra measure. I am not superwoman. I get that, but I want to at least have the attitude, the kind of attitude that sees an obstacle and cuts through it without worry or frustrated angst. You know the moment when the superhero sees the problem, pauses just long enough to find their enemy's weakness, and then takes action within seconds - that's the kind of attitude I want to have. Yesterday, a tree fell down in our driveway. It's been so rainy that the roots under some of the trees are in watery mud. Old trees with muddy roots are not stable entities. Despite living just two miles from a library, movie theater, and eight coffee shops, plus a shopping area for those less caffeinated, we live down a gravel driveway and are surrounded by trees and fields. I normally love our little nature sanctuary in the crossroads of suburban and rural life, but I don't love some of the obstacles that sometimes come up (or down). I saw the obstacle, covered my face with my hands and said, "oh, dear God, not again." (We dealt with a similar fallen tree in October.) Then, I got my work gloves on and went to drag branches out of the main driveway so we could out. I got dirt, mud, moss, and tree bits in my hair, on my clothes, and my work gloves were dripping with muck by the time we finished. Then, I cleaned up and went to worship, which helped my attitude immensely. We did conquer the obstacle, or at least clear a path through it so we could continue life, but . . . there's still a mess in the front yard, which poses an ongoing obstacle of more yard work. I have to admit, with the rain pelting down again this morning, that the last thing I want to do is clear more branches, but I know I need to do that so I can see the front yard again. In my writing life, I've had to clear some branches from my messy drafts of The Greenling, and I just woke up this morning and realized that I need to cut away some more dead wood. I don't really want to, but I know I need to so I can see the characters and the plot more clearly. I need to put on my work gloves and a superhero attitude this morning. What are you up to this morning? In other life news: It's my dad's 80th birthday today! He's always been my favorite real-life superhero. The pic is a screenshot from the newspaper article. 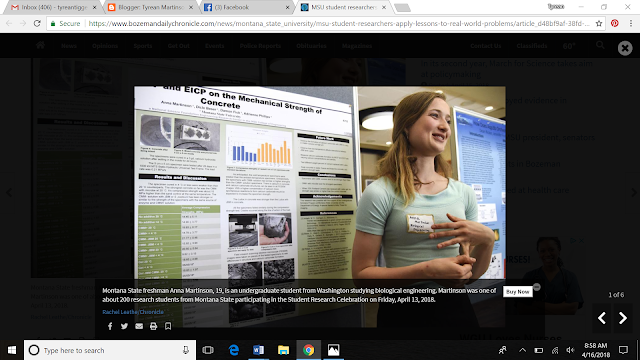 In the article, she has a brief quote about women in engineering. 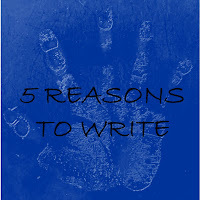 THE FIVE REASONS TO WRITE ... SERIES IS BACK! 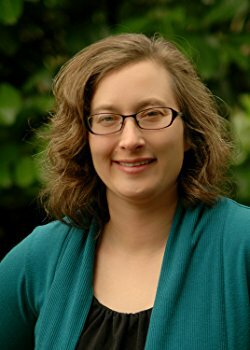 Please welcome Corrina Austin, author of Corners! People who are writers may be familiar with the oft-used phrase, “Write what you know.” Although I don’t always agree with that advice (because I think the imagination can take a writer well beyond the realms of what is known and familiar), I can certainly see the value in the suggestion. As writers and human beings, what we know is the result of a lifetime of experience, connection and accumulated wisdom. There is much to be harvested from the memory. I discovered this truth while writing my novel, Corners. The story shot up from roots in my own memories of growing up in the 1960’s. The community swimming pool and the “deep end test,” the countless summertime pitchers of Freshie, the noisy old refrigerator, a favourite childhood movie called The Incredible Mr. Limpett, even a visit from the Avon lady—all of these long-forgotten (or so I thought) things resurfaced during writing and made a framework for my characters and the stories they had to tell. Connecting writing with my personal memories in Corners brought an element of joy to the work of writing that I never anticipated. 1) Nostalgic writing is as close as you can come to getting into a time machine. I didn’t know that writing about the 1960’s would draw my memories out so vividly. As I wrote, I could hear that old fridge vibrating and humming through the night while I lay in bed as a child. I vividly recalled the metal pin I got to wear on my bathing suit with such pride after I passed the deep end test. I could visualize the diner my mom would take me to for a plate of shared fries and a Coke after a shopping excursion. There was something about the process of writing that took me back to the past in ways that verbally recollecting and reminiscing never could. 2) Nostalgic writing empowers you to transport your readers back in time right along with you. Finding connection with your audience is one of the most rewarding things that a writer can experience. Some readers of Corners who remember the 60’s have related to me that through my story, their day-to-day memories of that time have resurfaced. Writing about the past can be like giving someone back something special that was thought to be lost. And younger readers who may not have been around during the setting of your story are able to get little glimpses of what life was like in those days. 3) Writing from your own experiences adds credibility to your writing. 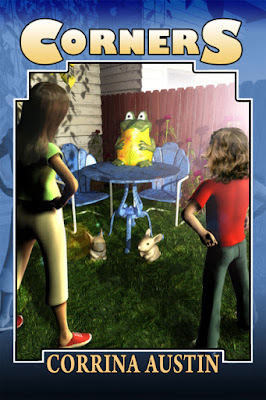 No one could dispute my protagonist’s authority as he narrated Corners because I was there. I was a kid in the 60’s. This first-hand knowledge gave me a sense of confidence that I hadn’t experienced when I worked on other manuscripts where I was relying entirely upon research and my imagination. 4) Writing nostalgically allows you to more fully appreciate your childhood relationships and connections. Developing the characters in Corners brought back aspects of my parents, siblings, neighbours and childhood friends that had faded in my memory. It reminded me of where I came from and of all the events and experiences that shaped me. Not only does this allow for more depth and understanding in my present relationships, it also can’t help but to add more texture and richness in my writing. I’ve realized there is nothing trivial or unimportant when it comes to the details of daily life as they translate into stories. 5) Writing nostalgically allows you to critically inspect what has and has not improved over time. The good old days seem like just that, in some ways. When we look back, it’s often through rose-coloured glasses. When I think of the 60’s, things like “flower power,” the Beatles, and the burgeoning sense of societal optimism come to mind. But, writing Corners also reminded me that the 60’s weren’t all sunshine and roses. 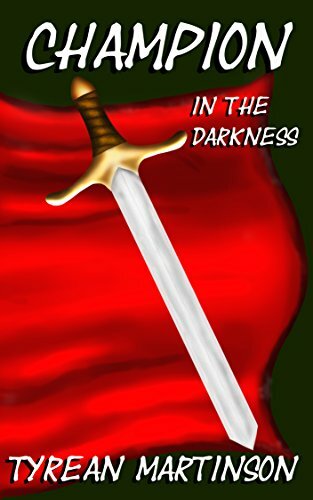 My protagonist faced daily ostracizing at school because his mother had him out of wedlock (and she was disowned by her parents for this reason). This same mom was often sexually harassed by costumers at the diner where she worked as a waitress and this seemed to be just “part of the job.” Children were killed or disabled by Polio in the 60’s. The stigma of mental illness in those days kept people isolated or locked away. Sometimes, people defer to the past because they’ve romanticized it. It’s good to keep in mind that although it can seem like some things have been lost over time, we’ve also come a long way. $10.95 USA, 6x9 Trade paperback, 136 pages, Dancing Lemur Press, L.L.C. a must-read for anyone of any age. 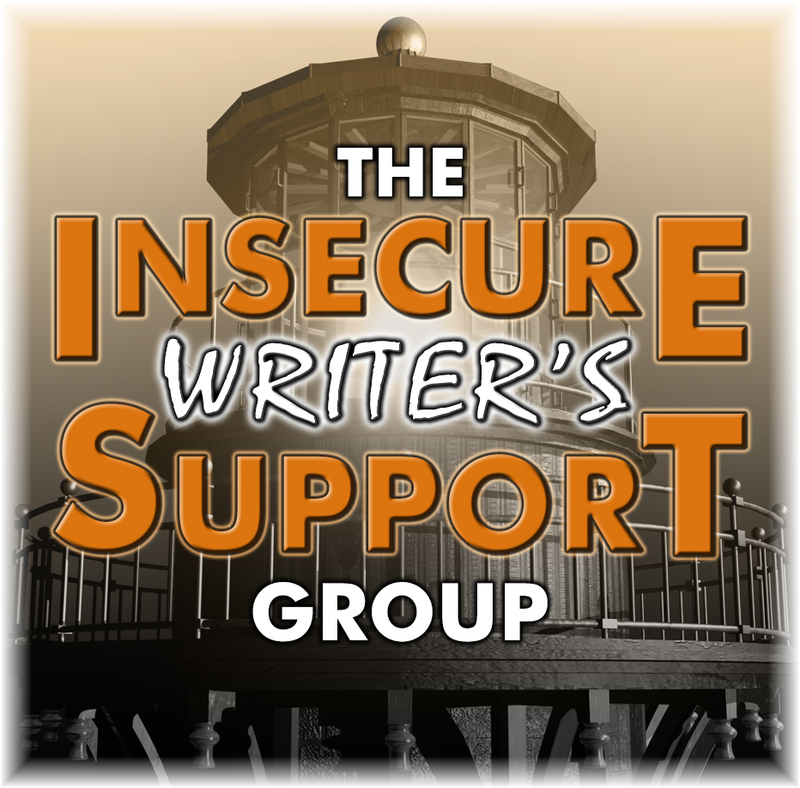 This awesome group, started by Alex J. Cavanaugh is a safe place to share insecurities and a great place to encourage one another as writers. Olga Godim, Chemist Ken, Renee Scattergood, and Tamara Narayan! 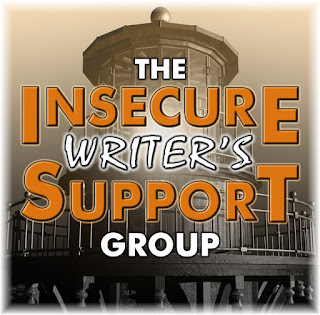 Please welcome Shannon Lawrence as our new IWSG Admin!!! At the same time, please bid a fond farewell to Christine Rains - and make sure to visit her! The optional question this month is: When your writing life is a bit cloudy or filled with rain, what do you do to dig down and keep on writing? I take my journal with me nearly everywhere. I write snippets in it: a word, a phrase, some notes, a line or two. I find this helps keep me in touch with words and ideas, even if I'm not spending hours of time or putting in hundreds of words. I also allow myself to play with language - create poetry, word collages, and image and word collage combos. This also helps me keep going. To join the IWSG hop, go HERE. To see the website, go HERE. A six-year-old made it up and I think it's really cool! As a fan of William Shakespeare (playwright and creator of many of our favorite words and phrases in English), I think word creation is awesome! Hilary Melton-Butcher featured this word for We are the World Blogfest. 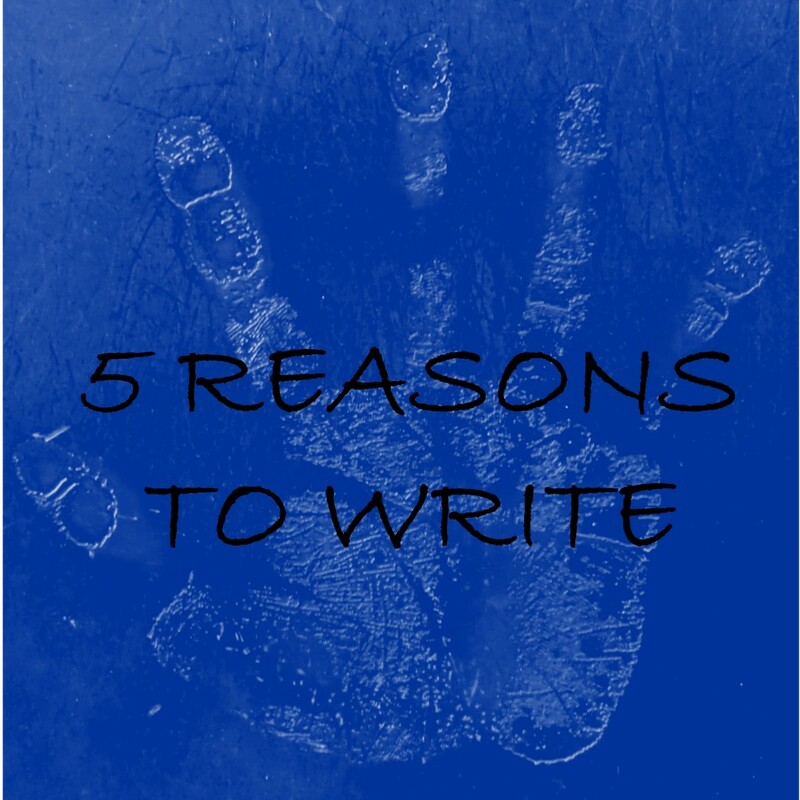 Project Revival of 5 Reasons to Write. Due to life's craziness and some health issues, I abandoned this project at some point. I would like to revive it. It may take some time, but if you would like to have a guest spot at my blog, this is my preferred format. Please consider taking a new topic or one that's been done before this. 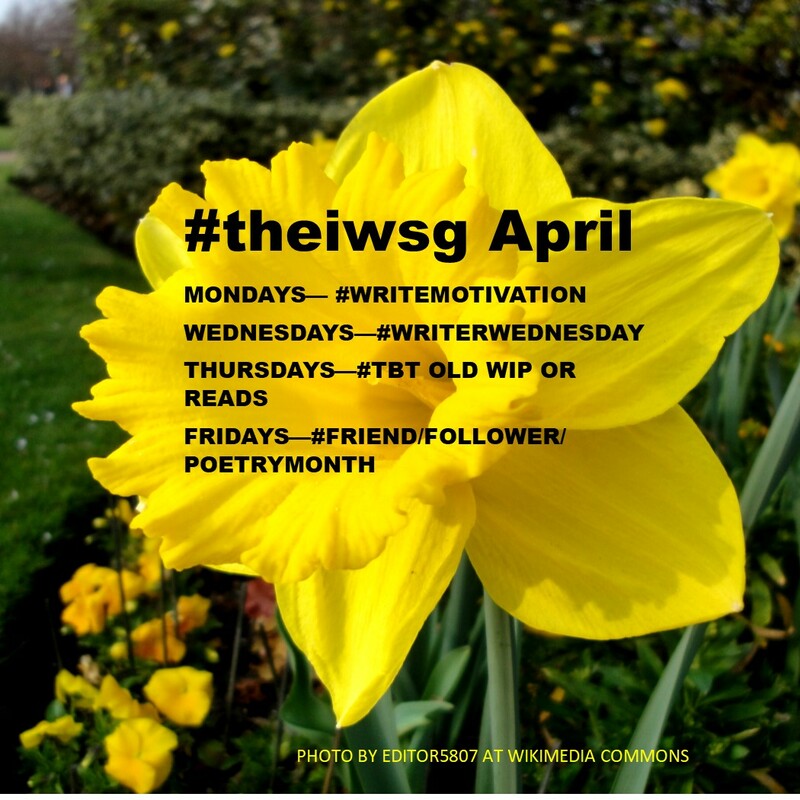 Ideas for topics: 5 Reasons to Write Mysteries, 5 Reasons to Write in Tiny Notebooks, 5 Reasons to Write Upside Down, 5 Reasons to Write with Yoda. Topics can be silly or serious. I will also be writing some 5 Reasons to Write posts because I find this "topic" helps me generate ideas, but again, if you want the same topic, just let me know and put your own spin on it. What do you to dig down and keep writing? 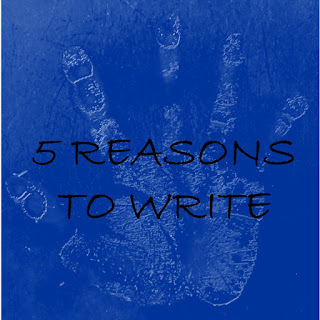 Do you have 5 Reasons to Write? Have you heard the word levidrome?